I came into this planet several decades ago only to be inquisitive about two Ibibio adages; "Ibibio isi imaha mfon" meaning IBIBIO PEOPLE DO NOT LIKE GOOD GESTURE, and " Ibibio isi imaha idem" meaning IBIBIOS DO NOT LIKE THEMSELVES. Being an Ibibio son, I tried to inquire what brought about such ICHABODIC sayings on my ethnic group, only to realize that it was as a result of thorough Research, Economic Transaction, Political Involvement, Interface amongst Ibibios that our forefathers propounded the sayings which was more like a generational curse placed and became binding on todays generation, which I think I will try to expatiate on certain instances. I wouldn't talk about an incident where a certain Paramount Ruler from Uyo Federal Constituency was kept unburied for 8 years (due to political, would I say traditional interest) until Sen. Godswill Akpabio, a native of ANNANG came to the rescue, but I think it wouldn't not be out of place if we could recall the alleged incident that led to the division of IBIBIO monarchs, where a group said to be rival went as far as Corporate Affairs to register a factional organisation and I keep wondering if it's possible to register 'Ikaan' in accordance with the law...When kings within same tribe fight for throne, then the people need to fast and torn their cloths for His mercies and grace. Some years ago, a certain author from Eket LGA published a book claiming that Ekid are not Ibibios, and I asked if it is so, does it mean that Ntisong Ibibio is from Ekid Ibibio or ekidnsinibiekpu? You just observed HAPHAZARDLY disparity amongst Ibibio monarchs, elders, Local Government Areas In all, the disparity between my Ibibio brothers and sisters has reached a level where other ethnic groups are beginning to sympathize with us. I could recall that one of the first people who started discrediting projects executing by NDDC (Where Ibibio son is the Managing Director)was a fellow Ibibio son named Mr. EPHRAIM Inyang-eyen. As an alleged extremist, he went as far as nicodymously bringing Minister of Niger Delta, Hon. Usani Usani just to showcase enormous hatred Ibibios has for one another at the national and international media houses. As if that was a tip of the iceberg, Deacon Udom Gabriel Emmanuel during Security Summit toed the path of his commissioner by claiming that the state government owns land not NDDC as such the commission should be cautioned...You may think it's politics, I feel it's fulfilment of those earlier mentioned adages. I tend to wonder if any ANNANG man would have done what Ephraim Inyang has taken as a routine. Unfortunately, these internal crises amongst Ibibio has help in moving other tribes higher in terms of manpower development. In today's Akwa Ibom State, it is glaring that natives of a certain tribe are in charge of economic structure of this stste. Join all Ibibios political bigwigs both in PDP and other political parties together, could you believe that they may not have up to 20Billion naira? But check out some erstwhile Accountant Generals, former commissioners et al in fact, within 2 years in office some celebrated billion naira benchmark. It's so sad that Ibibios are perpetually at war with one another. When Akpabio won primaries in 2007, he reached out to All aspirants including Dr. Udoma Bob Ekarika, but when Udom Emmanuel won his in 2015, he allegedly refused to reach out to G22, today a faction which would have unite for the interest of Akwa Ibom State is divided per political blocs. Over the years, so many natives of other tribes have been invited by the Economic and Finance Crime Commission (EFCC)with a view of defending some petitions and allegations. At least we have heard when former Accountant General , Isobara, Sen. Godswill Akpabio were invited, yet no dust was raised by any ANNANG son or daughter. Perhaps, they rose in defence! Just last week, Sen. Bassey Albert was also invited by the same commission but fellow Ibibio sons (Which OBA has helped in times past)had the guts of throwing tantrum on a man that was once seen as Ufan ndito ubuene. I WEEP when I noticed that the petition was written by a fellow Ibibio son, I cried louder when I observed that the allegation is planned not only about 2019 but towards 2023 election and I asked when will Ibibios take history important? The emergence of Udom Emmanuel as Governor should have taught politicians lessons in History. Thus, 2023 may not be different from KNOWN HISTORY. It will be Ibibio thing as such, Itu/Ibiono Federal Constituency will come up with permutation that the it's their turn as they have never produced Civilian Governor. Etinan Federal Constituency will insist that it is her turn to complete the tenure of Late Akpan ISEMIN while Uyo Federal Constituency will insist that ZONING has never been on Federal Constituency basis hence anyone from Uyo Senatorial District could contest and win. It will be an interesting contest, but I am sure by 2023 voters will root for a grassrooter, who has dined, wined and jolly with them. The importation and exportation of governors from North, West will be terminated, eye don open every man now... this is but for another day, though. Back to Ibibio, I was surprised if Sen. Bassey Albert was different from a former commissioner for Finance who was in charge of INTERMINISTERIAL committee, who was one of the brains behind Utuenikang Ibibio that he was later nicknamed OBA! I was soliloquy if he is not the same person that had boys under the aegies of Ndito Bassey Albert, provided scholarships to many people across the state, doled out cars to so many including a physically challeged and a former lawmaker from Uruan State Constituency named Barr. 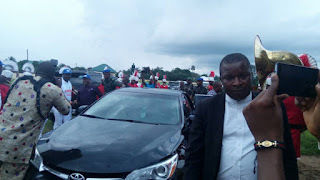 USENOBONG AKPABIO...look, it's unprecedented for one to dash a PHYSICALLY CHALLENGED a car instead of crutches and wheel Chairs as was supplied by Godswill Obot Akpabio during his constituency briefing held recently. A man that was asset to Ibibios during eight years of Akpabio's tenure! If he is the one, then I think he should be extolled for improving the plight of IBIBIO in a government where Fellow Ibibios were antagonizing other Ibibios while worshipping Akpabio as Baal. OBA should be celebrated for providing succour to the Ibibios in a government where Ibibio man named Hon. Iboro Ekanem moved a motion for the recall of Sen. Aloysius Etok (Ibibio stakeholder) and was later appointed a commissioner(Under the watch of Akpabio as governor), today he is representing Ikono Federal Constituency as a sleeping lawmaker according to media report. To the media community, OBA deserves accolades for empowering not less than 4 media practitioners during his Constituency Briefing, A feat no lawmaker has ever done including Sen. Godswill Obot Akpabio who is said to have done Mega Mother of Constituency Briefing. Despite our past and present, I think Ibibios have the opportunity today of breaking those adages which serves as jinx for the sake of our future! If only we see ourselves as BIOLOGICAL brothers, sisters, wards and siblings. We can make it if only we don't allow political party affiliations to disunite us. We can turn a new page if only we will admit the fact that our past has been battered and that we can make amends. If our monarchs will serve as Fathers and remain apolitical rather than causing disunity via purported endorsement. For Instance, was there any need for them to have endorsed Udom Emmanuel at Asan Ibibio? Between MONARCHICAL blessing and endorsement which was right thing for them to have done...If our traditional fathers continue this way, in future, some monarchs may be treated same way politicians are treating few media hustlers these days. Fact! If Udom Emmanuel will see Akwa Ibom as Management of NDDC is seeing, then there will be hope for future generation. Was there any need planting Metering, Syring and the other industry (Even though they are PPP arrangement)in Onna LGA alone? 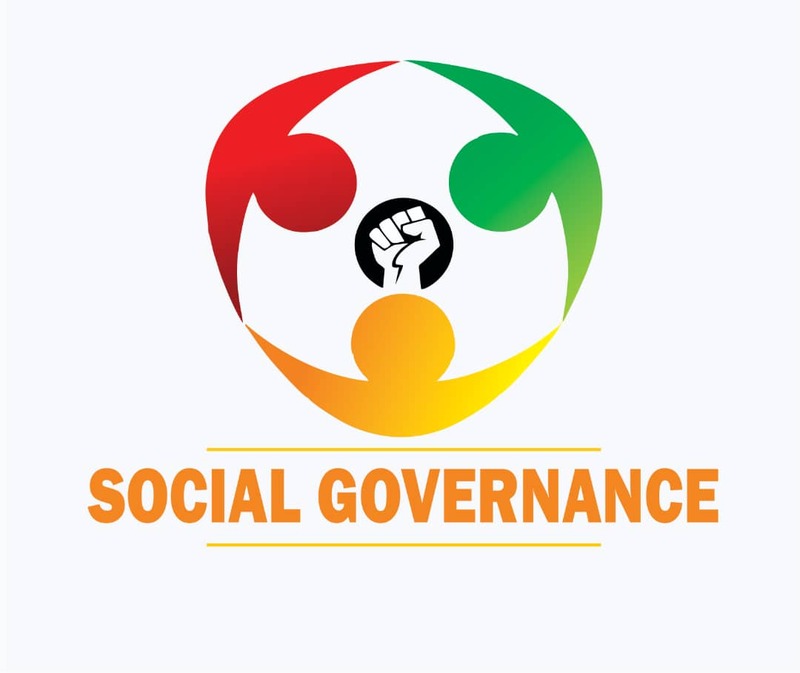 When other Local Government Areas are craving for development...can't he at least behave like the Federal Intervention Agency, which has brought even and rapid development in all facets of the society? And has even forcefully prompted EPHRAIM Inyang-eyen to fill-up potholes in some long abandoned roads and maybe commission as achievement of Udom Emmanuel during the forthcoming Democracy anniversary! What was the brain behind using agency occupied by Uyo Son with a view of threatening to pull down structure situated at Barracks road (Ikot Afia) just because of political interest? Is that not indirect way of causing enmity between Ikot Afia and Atan or by extension Uyo and Ibesikpo? I still believe Ibibio could unite if our leaders such as Governor Udom Emmanuel will decide to play politics with decorum. Ibibio could unite if our ELDERS will not take sides unnecessarily but look beyond their nose. Was there any need for Uyo Elders (Which some were alleged to be Godswill Akpabio 'recharge card' boys)abusing Akpabio just because of statement Udom's Great Teacher made in Abak? Has Udom Emmanuel not put Uyo-Ikot Ekpene Road, Four Star hotel in place? So who is the superior between Udom Emmanuel's Great Teacher and the so-called elders? For the sake of our future generation, as Ibibio public affairs commentator, critic and apolitical, I think we should keep politics aside and see how we can uplift the plight of IBIBIO nation and possibly turns it from a "WAR zone" to a tribe by extention the fourth largest ethnic group in the country. We can do that, if we will unite as the leadership of APC came together in one ACCORD and conducted a formidable ward, chapter and state congresses recently devoid of rancour and political abracadabra . We could unite if Uyo Senatorial District, will (during the reception)only urge Udom to Contest rather than endorsing him as no one knows tomorrow. Don't you know Udom Emmanuel may pursue you out of his led government and Ephraim Inyang may fuel the earlier crises by dividing Akpabio boys from Udom Boys and maybe expose "Illegal document of ANNANG Dangotes" if God should decide to punish you by answering that prayer of endorsement that you about to pray? Anyway, Calamity will never befall our dear state the second time. We will unite if EPHRAIM INYANG look into compensation saga and cases instituted by Estate Valuers that are allegedly proliferating across the nooks and crannies of the state. We will unite if the government look inward into Pensioners GRATUITIES and pensions. The key word is UNITY! It comes when a detrabalized person is in power...and what stops 2019 from giving birth to such reality?